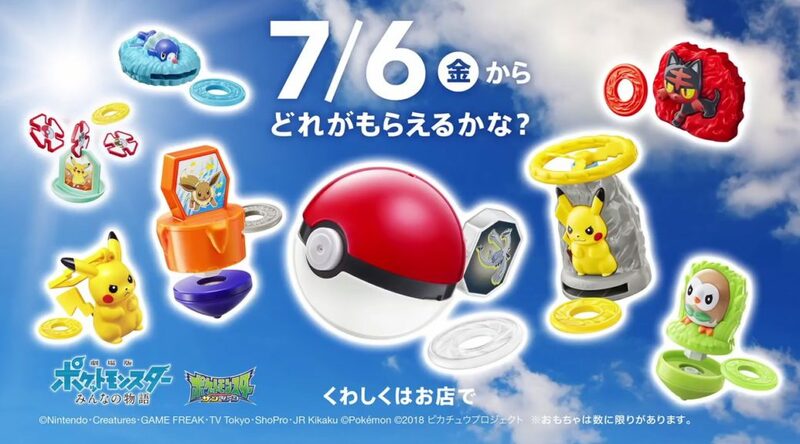 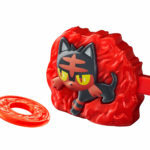 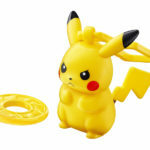 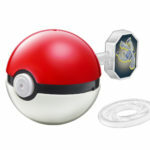 Starting July 6, customers who purchase a Happy Set (also known as Happy Meal outside Japan) at McDonald’s Japan will receive one of eight Pokemon toys. 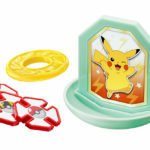 On July 7 and July 8, a complimentary Pokemon Quiz and Puzzle Book will be distributed to customers who purchase a Happy Set and Pokemon toy. 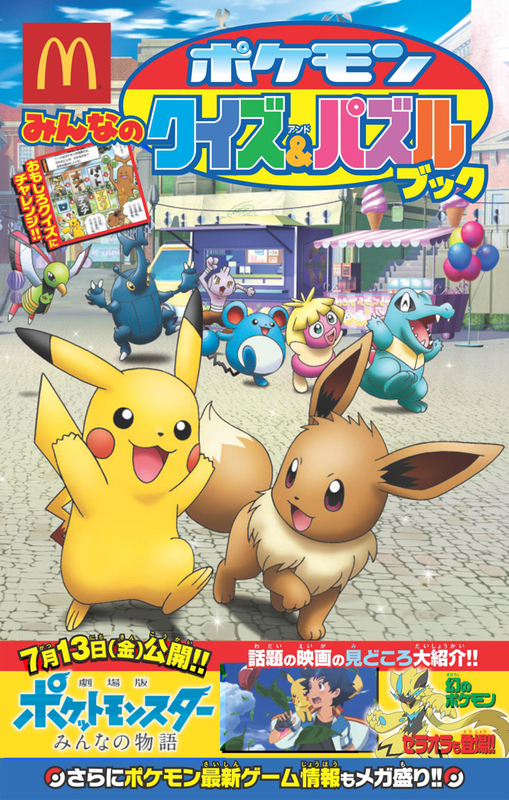 The book contains information on Pokemon the Movie: Everybody’s Story. 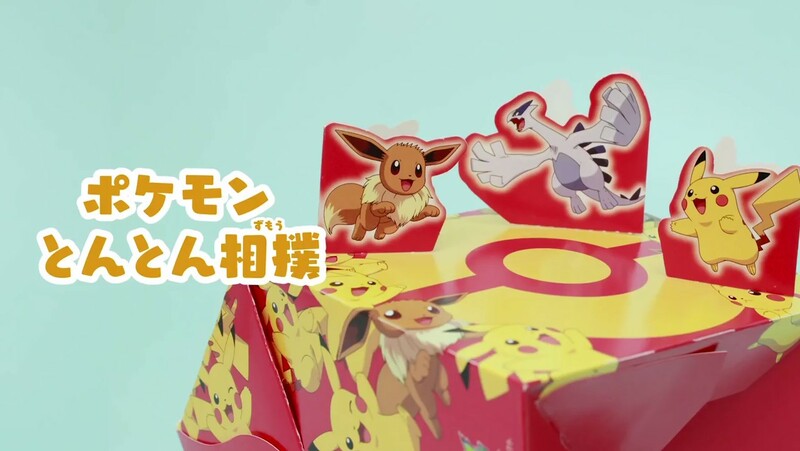 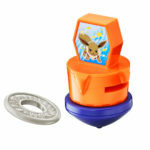 In addition, children will be able to peel off pictures of Pikachu, Eevee, and Lugia off Happy Meal boxes to enjoy a game of “Pokemon Tapping Sumo”. 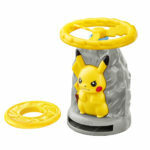 A tie-in collaboration with Toys R Us will also take place in July.